I was fangirling a bit in tumblr and someone contacted me and invited me over here, so...YO!. Call me C.C or Moonchild, either one is fine by me. I'm a Mexican theatre bachellor but have been doing anything but theatre for the past years. Write a lot, draw a bit, make the occasional AMV, talk up a storm when it comes to stuff I like and never go to sleep at a reasonable hour. More interested in the supernatural than what's probably wise. I laugh at my own terrible jokes. 90s kid. My favorite film is The Book of Life. I like a bit of everything in the music department, except reggaeton. I don't think I have a favorite TV show but I really like animation and cartoons. Uhh...I'm not sure of what else to add so I'll just leave it there. My first memories regarding the Ghostbusters consist on after pre-school episodes of RGB on TV. I loved Janine so much that, according to my older sisters, I'd legit get upset if she wasn't in an episode. I also had a crush on Egon, apparently (My mom recalls I used to say he was my 'Boyfriend' when I was a kid. 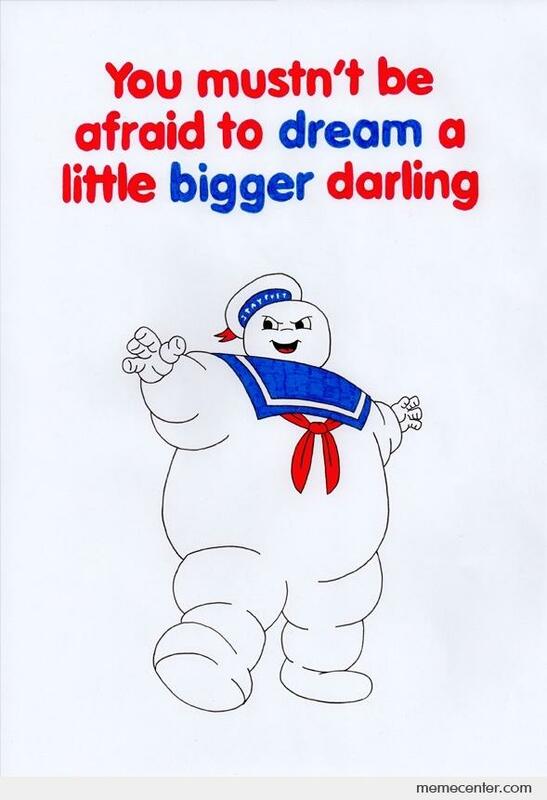 Funny enough, now I have a crush on Ramis!Egon instead) and I was very interested in the whole ghost thing... I actually have my doubts on whether RGB is to blame for my life-long interest in the supernatural, cryptozoology and mythology. I have blurry memories of watching the films as well. The chair scene and the librarian at the beginning scared the living daylights out of me as I recall, as did the train and heads on stakes in film 2, but I did love the Statue of Liberty walking to 'Higher and Higher' and the ending scene in film one with Winston screaming 'I LOVE THIS TOWN!!' and the film is one of the rare films that, no matter the time or place, if it's on, I'm gonna be watching it unless it's absolutely necessary for me not to. 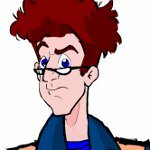 Watched Extreme Ghostbusters when it was on, years later, and even if I do recall being somehow salty about they still going on about Janine chasing Egon and him being...seemingly completely blind, I mean, how do you not NOTICE-! I digress. Thing is, when I was younger I wasn't such a big fan of the couple, but I assumed they were a couple all the same, so I was understandably confused to see them still not married or anything in EG. I liked it well enough, the more edgy theme went accordingly to my age, and it was GHOSTBUSTERS. Nowadays, I don't really agree that much with the way they did some things, but I still love the characters and love that they addressed some pretty heavy issues in their episodes. 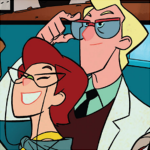 My love for Janine/Egon, as I mentioned, is relatively new and RGB, as well as the IDW comics are COMPLETELY to blame for it. Still crossing my fingers so the comics do good for us fans on that department, seeing how they're doing good in all else- including more female characters, giving Peck some redeeming qualities, giving us the closest to closure with Peter and Dana as we're prrrrrobably gonna get and uniting all universes. Still, even if they don't go anywhere with the couple, I'm still going to be over here drawing them and writting for them because Tlaloc knows they're perfect for each other. That's about it, I think? Last edited by Moonchild on April 5th, 2018, 5:40 pm, edited 1 time in total. YAY! You made it! I was the one who called you here. You'd definitely have a lot to add to the discussions around here and show off all the good art you've done! Welcome to the Ectozone! I was fangirling a bit in tumblr and someone contacted me and invited me over here, so...YO!. Call me C.C or Moonchild, either one is fine by me. Hey, great to see you! I'm also on Tumblr but very much a lurker, always liking your E/J posts. Your artwork is absolutely gorgeous, and I love your AO3 fic. I've been feeling so disillusioned with the lack of E/J in the IDW comics but your art has really helped fill the void. Greetings, fellow denziens of the Ectozone. This is your newest member, Smiling Jack, an early 20something Classics major from Central Kentucky who's been a Ghostbusters fan since late 2009, when I caught an airing of it on AMC and got the 25th anniversary video game. From there, I proceeded to spend most of early 2010 tracking down and watching episodes of both The Real Ghostbusters and Extreme Ghostbusters on YouTube, and ended up kind of drifting out by 2011 before coming back in around 2015. It was during my initial obsession when I first found the Ectozone, and now I've finally joined up. Not quite an introduction, but I'm back! Way too many RL issues kept me away, sadly, but let's party! You have no idea how thrilled I was to see you were back. It's been so long. Hailing from Glen Burnie, Maryland, her real name is Rose Prevost and she's one of the Client Administrators of the (now basically dormant) Ghostbusters West Coast. On the old board she carried the custom title "Shipper Matriarch" for her long, vocal support of the Egon/Janine romance. And just as an interesting aside that probably would bore anyone else, the very first post I made on GBN was to answer one of her questions about Egon's Mom. I don't know if you've followed the IDW comics, but if not you've missed a lot...and sadly not very much at the same time. Either way, I look forward to seeing you back around these parts. Thanks for the sweet words! Good to be back! I'm in Lansdowne, MD now. Health issues (I'm fine now) made me move back in with the family. Still lovin' E/J!